Tracksounds: Soundcast Stereo (Episode 7) - Wonder Woman: Should a Female Composer be Hired to Score? 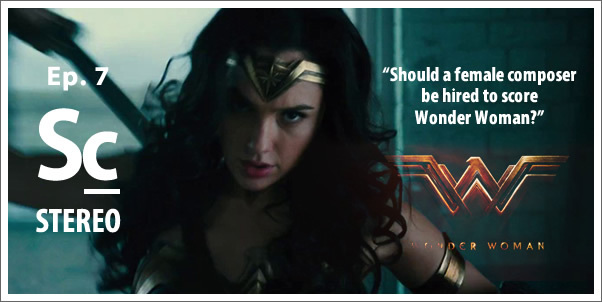 Soundcast Stereo (Episode 7) - Wonder Woman: Should a Female Composer be Hired to Score? Episode 7 - "Should a Female Composer be Hired to Score Wonder Woman?" Chris and Erik discuss the potentially sensitive question of whether or not a female composer SHOULD be hired to score Patty Jenkin's upcoming WONDER WOMAN film. Is it mandatory, a good idea, or a bad idea? What could the repercussions be? Listener twitter thoughts and comments included! Soundcast Stereo episodes are two channel, 30 minute conversations about a single topic from the world of film, television and game soundtracks. 02:27 - Political? Proper? Spring-board? 08:05 - Listener Tweets: Hire the right person for the job, male or female. 20:32 - If a female composer was to be chosen, who would your top pick be? 26:18 - Given the director/producers, who do you THINK WILL be hired?